If your computer has ever been infected by a virus you will probably know the problems it causes and the trouble it takes in removing them. 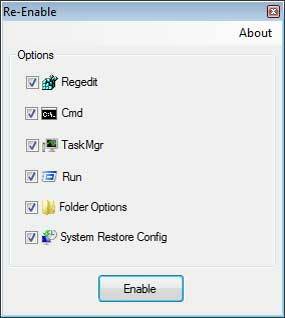 They disable several core functions such as Windows Task Manager, Folder Options, Registry, etc. which makes it even harder to remove them. This software works in Windows XP, Windows Vista and Windows 7.